Woody Allen famously said, “Eighty percent of success is showing up.” Being where you need to be when you need to be there. 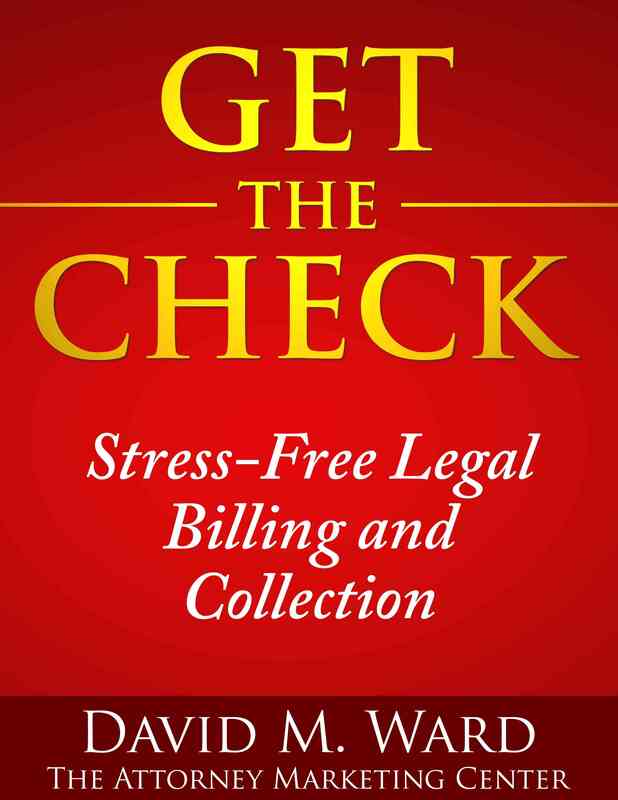 In the context of marketing legal services, that means showing up when someone needs your help. But how do you do that? You don’t know when someone will be in a collision, want to file for divorce, or start a business. You don’t know when someone is unhappy with their current attorney and is looking for a replacement. And if you don’t know, you can’t show up. Or maybe you can. You can create search engine optimized content so that when someone needs a lawyer and goes looking, they can find you. You can write articles and run ads in publications and on websites where your target market is likely to see them. You can educate your clients about who would make a good client for you and the best way to refer them and let them keep their eyes and ears open for you. 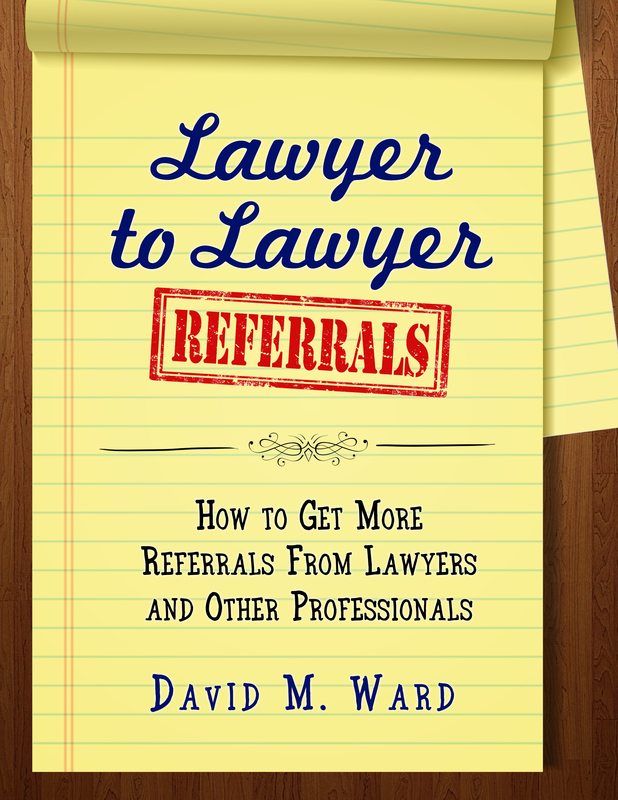 You can do the same thing with professionals and other referral sources. These strategies will help you get your name and message in front of prospective clients when they need your help. But there’s another strategy you should consider. You should get your name and message in front of prospective clients before they need you. You do that through a newsletter, a blog, a podcast, or a video channel. You build a list of subscribers and you stay in touch with them, sharing your knowledge and showing them how you can help them. As you do that, they see your passion and commitment to their niche or local market. They get to know, like, and trust you, and when they need your services (or know someone who does), you’ll be right there, ready to help. 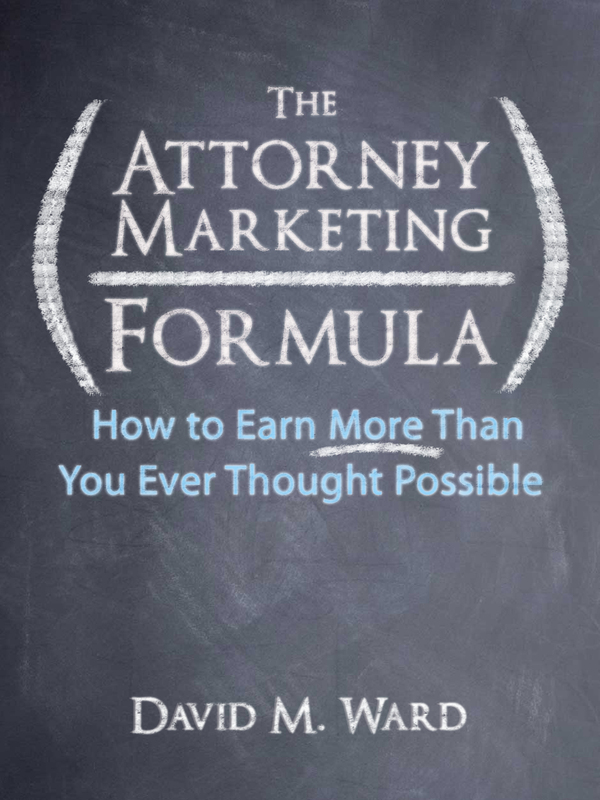 Many lawyers do marketing sporadically. When you understand the value of building a list of prospective clients and you “bake” marketing into your daily method of operation, when you are never not marketing, you are never without clients. Does your practice need more sales people? Before you say no, give me one minute to convince you of the value of hiring a sales person for your practice. Someone who would talk to prospective clients and referral sources on your behalf and convince them to hire you or send you their referrals. Suppose that this was legal and ethical and could be done with little or no cost. This sales person could deliver a steady stream of new business for you. 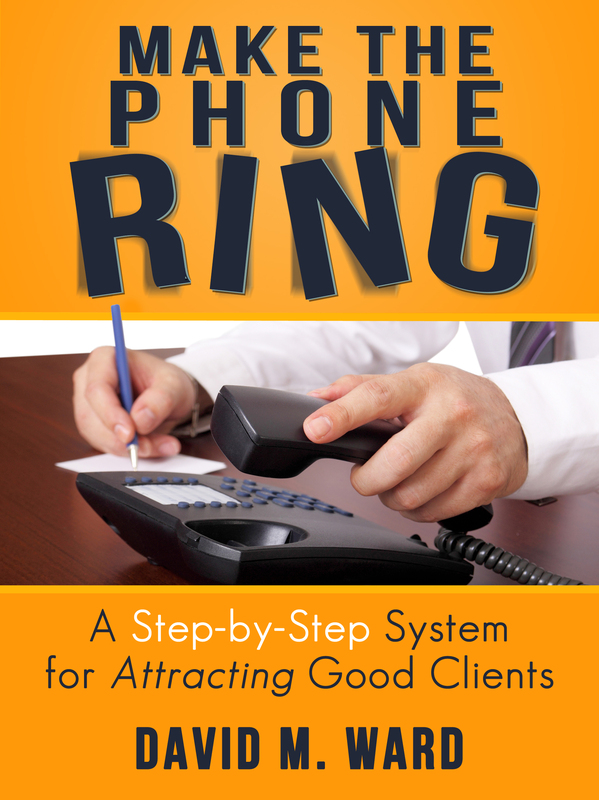 Every day, prospective clients will call your office to make an appointment. When they meet with you, they are either sold on hiring you and ready to sign up or they have a few questions about their legal matter, and then they sign up. So. . . how many sales people would you hire? Hold on. Calm down. This is doable. In fact, there’s a very good chance that you’re already doing it. 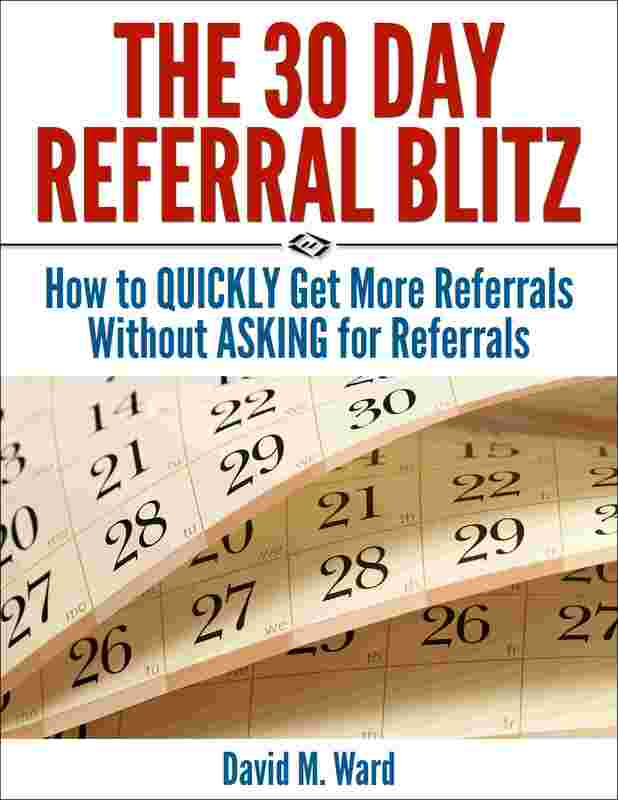 You already employ one or more sales people who are bringing you new clients. Okay, I’m not really talking about people. I’m talking about information. Articles, blog posts, reports, ebooks, videos, audios, podcasts, seminars, and other content you deploy on your website and elsewhere. This information attracts prospective clients who learn what you do and how you can help them, and persuades them to call you, fill out a form, or otherwise take the next step towards becoming your client. Your content does what a sales person does, but in many ways, it does it better. It works for you 24 hours a day, never complains, and never asks for a raise. And once your content is deployed, it works for you tirelessly, endlessly, for many years to come. So the next time you’re looking for a way to bring in more clients, start writing, or hire someone to help you, and get more content out into the world. Education based marketing means providing prospective clients with information about their problems and the available solutions. 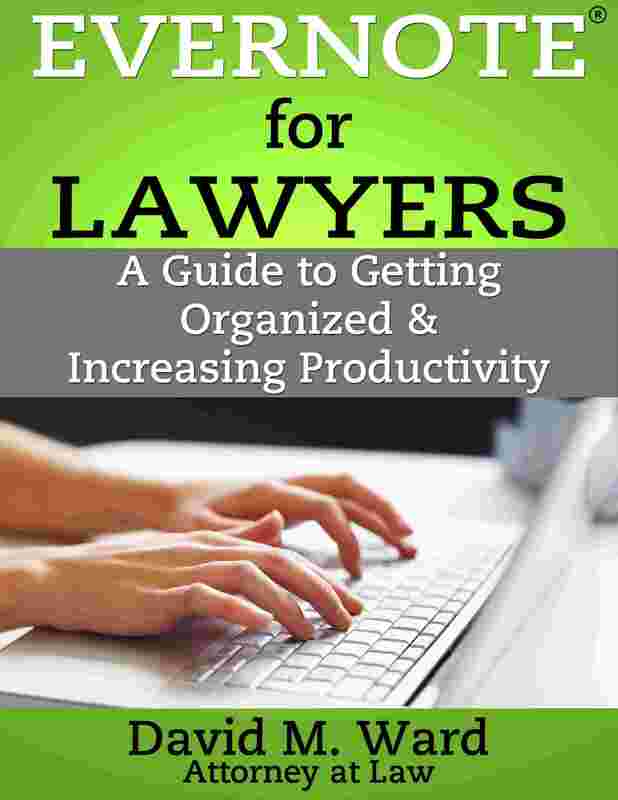 As they contemplate the severity of the issues and the nuances of the solutions, they get closer to hiring a lawyer. Your content shows them that you understand their problem and have helped others to solve it, and you thus become the lawyer they are mostly likely to hire. In other words, the quality (and quantity) of your information does much of the selling of your services for you. So, plus one for content. But in what form do you deliver that content? William Glasser said that we learn. . . So you want to give prospective clients options to read, watch, and listen to your information. You also want to involve them with that information by engaging them in a conversation about it, through commenting on your posts and emailing and calling you to ask questions about how the information applies to their specific situation. In a live presentation, you can engage the audience by soliciting feedback and asking people to talk about their experience with the subject. On your website, you can post surveys and other types of involvement mechanisms. The more senses your prospects use, the more they learn; the more they learn, the more likely they are to see you, the teacher, as the best solution to their problem. But there’s a hidden value to this process. As you create your content, you learn more about the subject and get better at teaching it. You spend more time thinking about what you know and verifying what you think you know. You read what other teachers (lawyers) say about the subject and how they say it. You find more examples and stories to illustrate your points. And as you write and re-write your information, and practice your delivery, you become a better teacher and thus better at attracting clients.